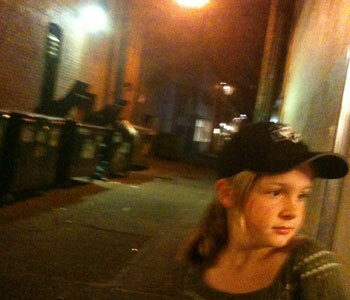 Alex's mention of Blood Alley, a haunted corridor between blocks in Vancouver's turn-of-the-century Gastown District, was enough to lure ghosthunters Ellie and me down there late our last night. There were plenty of scary people in the alleys down there late at night, but I think most of them were still alive. Mostly. One of them took our pic with my iPhone while, behind our grins, we both watched him like hawks, eager to pounce if he tried to run. 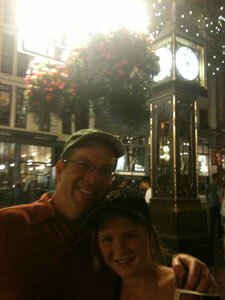 After, we made a mad dash through one block of the alley, before grabbing a cab for home. We saw a few bodies lying among the trash cans and crates, but we didn't stop to ask whether they were still living or not.